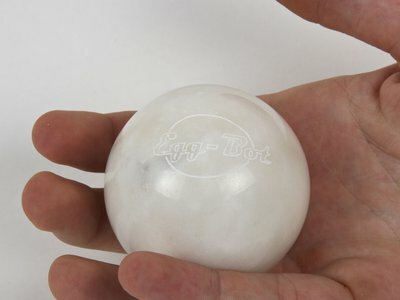 Turn your EggBot into a CNC diamond engraving tool. 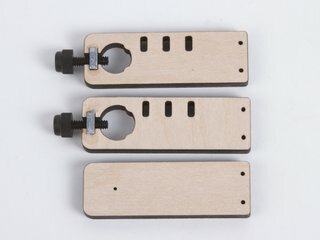 Assembled and tested version. 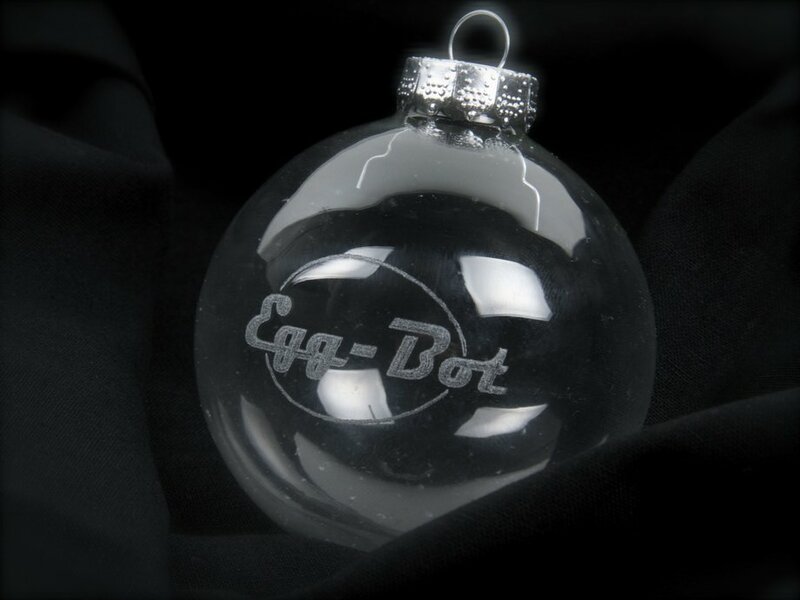 Compatible with Basic, Deluxe and Ostrich EggBots. 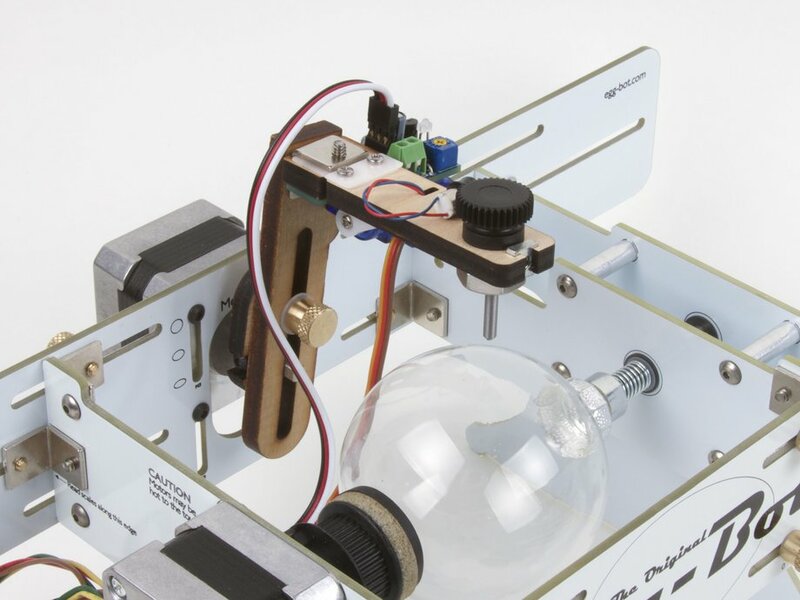 See here for EggBot Pro version. 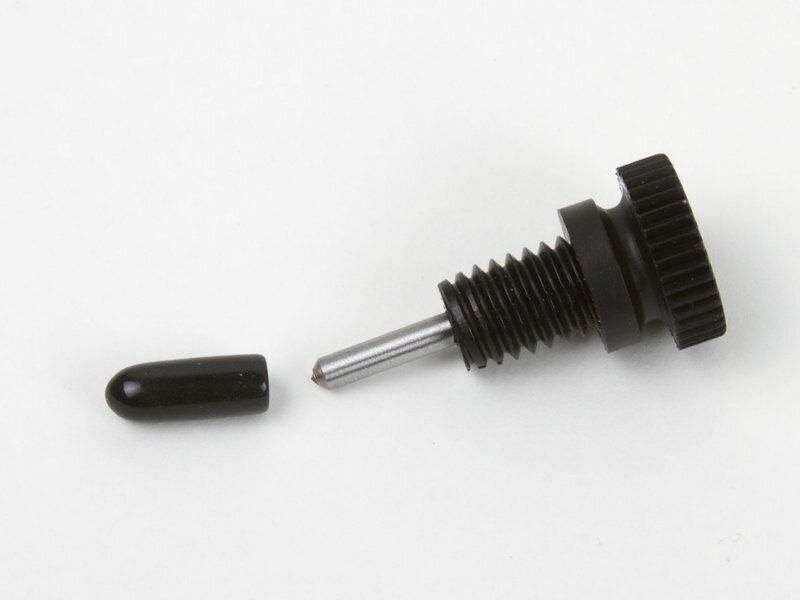 This Diamond Engraving Tool for EggBot turns your EggBot into a vibrated-tip diamond-point engraving tool, capable of light-duty marking and engraving on hard materials like glass, stone, and ceramic. 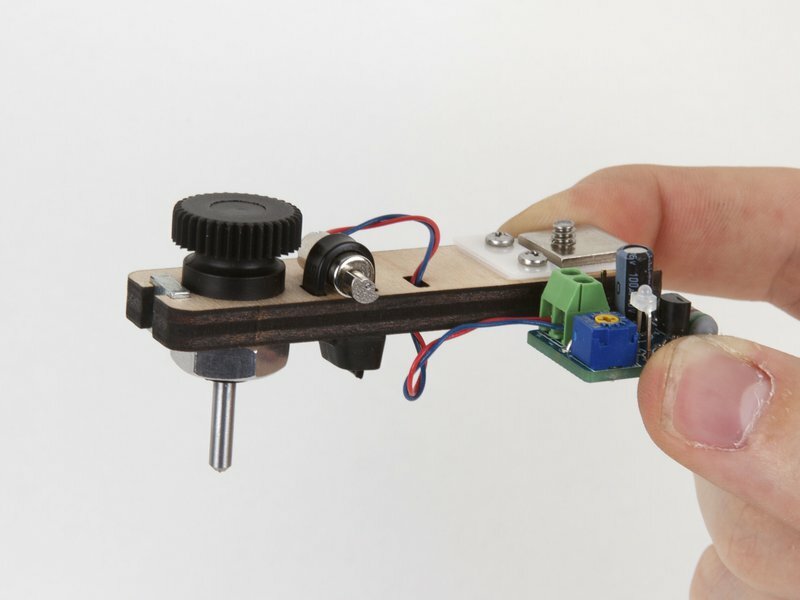 To install the Engraving Tool, you will need the same basic tools normally required by the EggBot: a miniature phillips-head screwdriver (for adjusting motor current) and the 5/64" ball-end hex wrench that came with your EggBot. 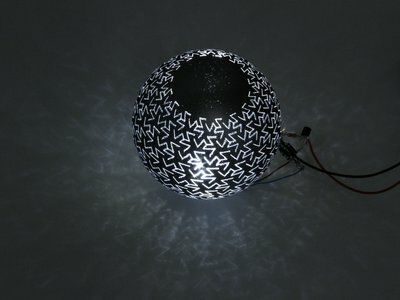 Photo: engraving directly into the surface of a stone (white marble) sphere. Click for larger image. 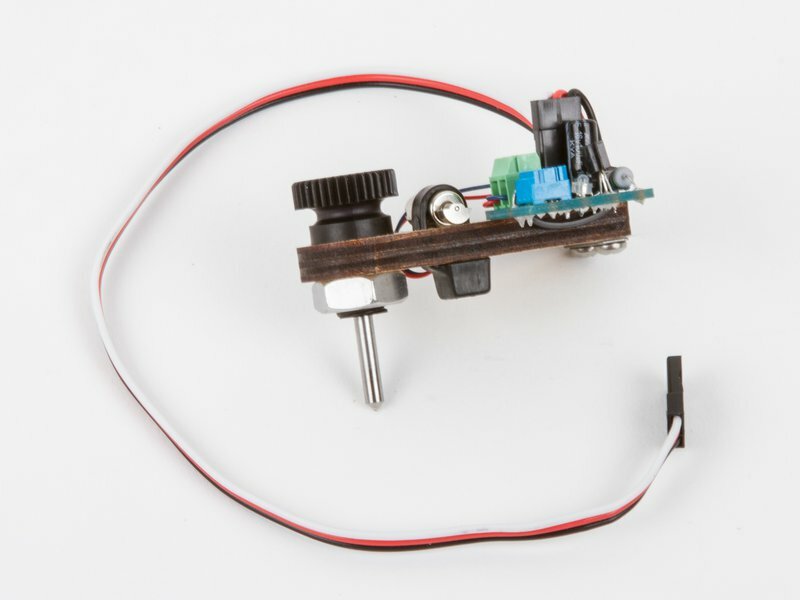 This engraving tool works with the Basic or Deluxe EggBot kit, as well as the Ostrich EggBot, through an extension cable that is now included with the kit. 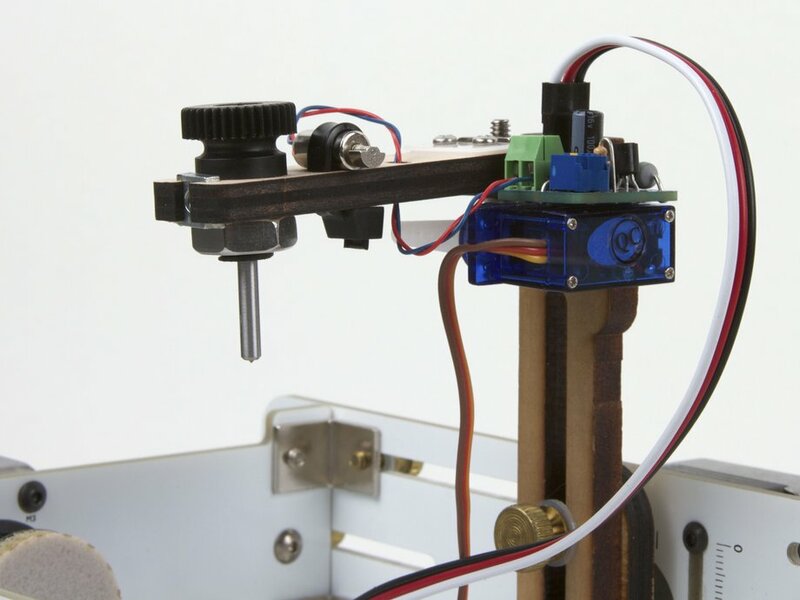 For the EggBot Pro, you will need a different engraving tool, available here. 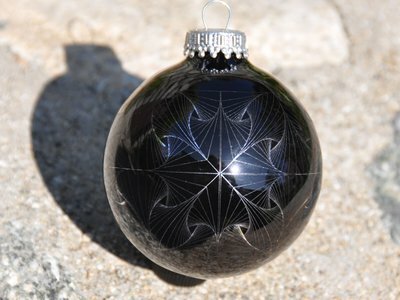 Photo by EggBot user Dan Newman, showing the result of etching the outer paint layer off of an ornament. 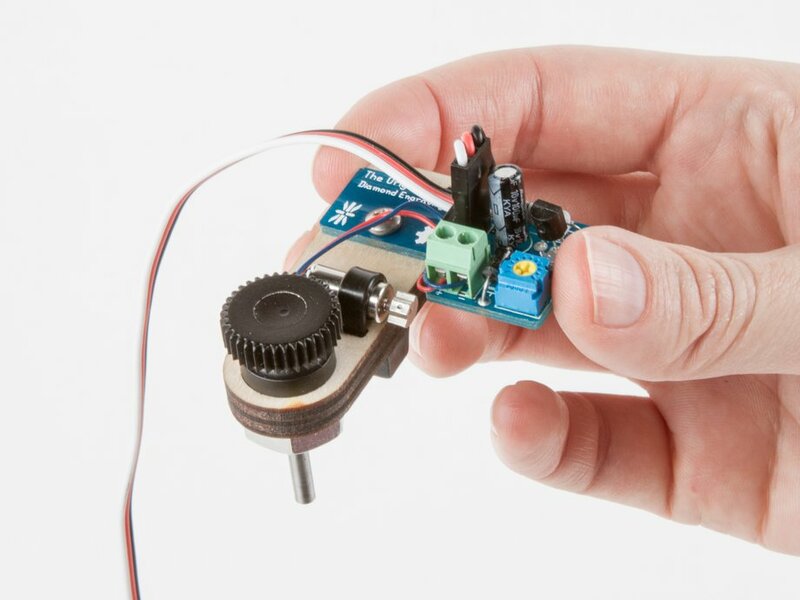 The kit includes the diamond-point tool, an upper pen arm assembly that features an alternate hinge material, high-speed vibrating motor, a driver board for the motor, and a cable that allows it all to be directly powered and controlled by the EggBot's EiBotBoard (EBB). Photo: By etching the paint off of surfaces you can create interesting masks for light-- tiny and exotic lampshades. 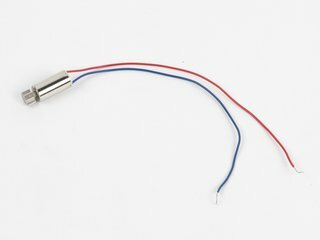 It is worth noting that the Engraving Tool is considerably louder in operation than the EggBot itself, particularly when engraving brittle materials. 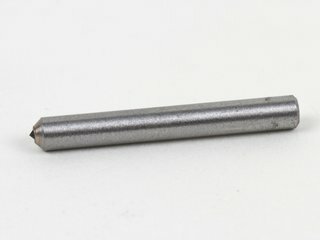 You should also be aware that the engraver contains sharp parts (the diamond, in particular!) 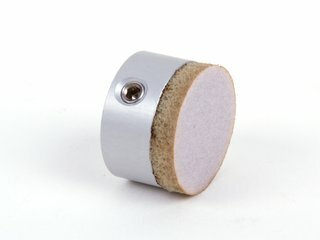 and that there is always risk of shattering when you engrave glass. Take care to exercise proper safety precautions. 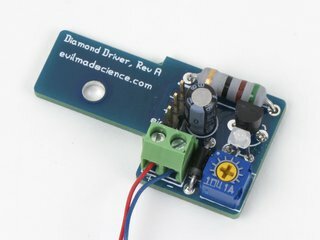 Detailed usage instructions for the Diamond Engraving Tool are available on the Evil Mad Scientist Wiki.